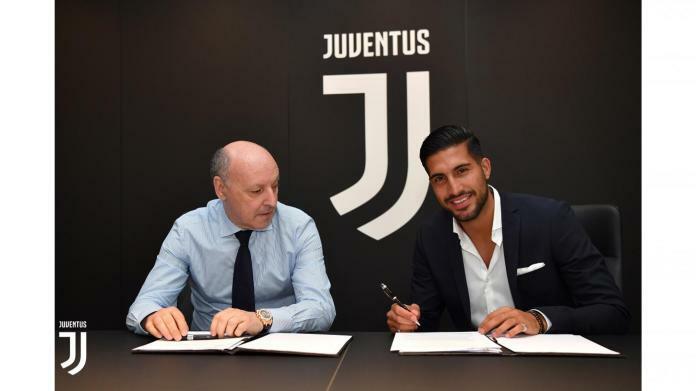 Emre Can Emre Can has finally joined Juventus after months of speculation over whether or not he would sign a new Liverpool contract. While it hasn’t exactly been a secret for the last 12 months, Emre Can has secured his move to Juventus after his deal with Liverpool expired. The club couldn’t offer the German what he wanted – regular game time as a holding midfielder. As such, he made it clear that he would not be renewing his terms with the Reds and has now been officially unveiled as a Juventus player. On Thursday afternoon, the German was announced as having joined the Turin-based club. Embed from Getty Images The club’s official statement states that over a two year period, he will earn a total of €16m which is £220,000 per week for two seasons. While I don’t believe he was tempted into a move to Juventus by money, it definitely made a difference. If he were at Liverpool on those wages, he would comfortably be the highest paid player at the club. I personally bear no ill will towards Can. In his four years with Liverpool, he gave nothing but his best, often having to play out of position. He has nothing but my best wishes for his future. Cheers, Emre.